There are many things in the world that we are accustomed to but usually ignore: buildings, streets, trees, monuments, cars passing by all this is our environment and the part of our lives. Regrettably, very often, you appreciate this when you begin to realize that something from this chain of events has been lost. I love Pavlovsk because many events of my life are intimately connected to this place and fully captured by this park: I like having the breath of fresh air suffused with forest fragrances, as well as watching its inhabitants — birds and animals and listening to its fabulous sounds. Not only its flora and fauna are the only things which I enjoy the most, but the beautiful views of the park with its fantastic sculptures and architectural monuments which are created by the talented architects and landscape designers, who implemented their ideas about ideal nature in such a picturesque scenery. Designed by prominent painters, sculptors, architects and landscape designers, it, as it may seem, aims to inspire to create something. As long as I’ve been visiting this park, I’ve got to know every its corner.Nevertheless, every time I see these dearest places, your relationships with them are becoming stronger. At the same time, you discover something new for yourself. The memorial office of Anna Ivanovna Zelenova, who was the director of the Pavlovsk Palace Museum for more than 30 years, became one of these new things. This «museum in the museum» located in one of the palace’s wings. Not to admire the exquisite adornment of the rooms do people come there, but to pay tribute to the memory of this outstanding person, without whom the renovation of this absolute treasure of our culture and the place that people like visiting could hardly be possible. Here one can feel what it is the essence of any memorial museum exhibition: it is the effect of presence; it is that characterizes the person. The atmosphere of these museum’s rooms is very compelling. Every visitor is welcomed by the museum keepers who, as it may seem, are ready to talk about Anna Ivanovna for hours.As for the director of the Pavlovsk Museum and Natural Resort, every time he arranges the excursions for the Museum’s guests of honor, he leads them in this cabinet. Every exhibit here is the genuine thing: it belonged to Anna Ivanovna Zelenova, its former owner. It speaks for itself. The office is modestly furnished: a large writing desk, bookcases, books, pictures on the walls. Every object gives us the information about this wonderful woman. On her desk, one can see papers, technical drawings and the set of drawing tools, which she always used for her work. The large half-length portrait of her, painted with oil-based paints on canvas, and the landscape of the Pavlovsk Park, it is all that could be considered as luxuries. For everyone here, Anna Ivanovna is like the person who is near and dear to them. She made the impression of an ordinary person that she considered herself. She just did the job she loved, and, at the difficult time for our country, simply doing her duty, trying to be maximally useful. However, after the decades, it has become clear that what has been done was predestined. Not being a person of good health, but possessing truly iron will, she had to do many things that an average person couldn’t usually afford. You can’t help but think about that when standing in the Palace’s corridors in front of the more than individual height photographs of the ruins of the Palace, taken a right after the end of WWII. What it was, the war? One can remember the sage words Konstantin Simonov, the Russian prominent writer and poet. He said that the war is different. A soldier in a trench sees one thing, a commander — another, and civilians — something else. What did the war mean for museum employees? Looking at the photo, published in the book of memories of Adelaide Jolkina (the adopted daughter of A.I. Zelenova) about Anna Zelenova. It portrays for women: Elena Nikolaevna Elkin, the director of the Summer Garden Museum, Anna Ivanovna Zelenova, the Director of the Pavlovsk Palace Museum, Marina Alexandrovna Tikhomirova, the Keeper of the Peterhof Museum and Evgenia Leonidovna Turova, the Director of Palace Museums and the Parks of Tsarskoye Selo. «The Invincible Blockade Brotherhood» — it is the caption of this photo. They are standing very closely to each other, and, probably feeling happy and satisfied with outliving one more day and doing their utmost for the benefit of their country and museums, firmly believing in our victory. Like these days, at that time, the vast majority of art historians and museum employees were women, who put on their shoulders all the hardships of the war. Anna Ivanovna Zelenova is one of them. Her life, which was filled with work and cares about her friends and loved ones, her personal and professional duty to her country, seemingly, came naturally to her. At the same time, to a great extent, her life is so unusual that it deserves to be turned into the feature film- biopic, which judging its sophisticated twist of plot and the temperature, wouldn’t be inferior to other contemporary movies nominated for the highest film awards. In fact, there are many films, created by our filmmakers, about the labor exploits if workers, dedicated scientists, brave soldiers, militiamen athletes, rock climbers, etc.However, one film has not been created yet: the film of a big scale, which glorifies the heroism of the people of one of the most peaceful professions -museum employees, curators who take care of the cultural legacy of the past. She came to work in the Pavlovsk Palace Museum in 1934. Although she was a very young girl, she had to go through many serious tests during her life and, eventually, she had gained the mature wisdom. She was born in an ordinary family. Her father worked as a mechanical engineer; mother was a skilled dressmaker. Honesty, diligence, empathy, aspiration for knowledge and enthusiasm for learning — these were so important values were being instilled in her by her parents during the years of her childhood. She had the lifelong passion for studying and was ready to share her knowledge and experience with others. When she was a student of the Peterschule, the famous German school in St.Petersburg, she gained the excellent drawing skills while attending the classes of design. Subsequently, these skills come in handy, when her father fell seriously ill, and she had to earn a living by taking a part-time job as a draftswoman. Like many talented people, Anna Ivanovna showed her aptitude for many areas of human activity. In her childhood, she attended the classes in the Ballet and Drama schools. While studying at the Art School and participated in the Theatre Director Courses, she taught illiterate people to read and write. She possessed the outstanding engineering capabilities from her father that is why she had studied at the Machine-Building Institute for two years. Then she was fully embraced by the desire to study humanities, and history of art. She studied at the Leningrad University, the Linguistic Faculty, specializing in art history, and at the Philological Faculty of the A.I.Hertsen Pedagogical Institute as a part-time student. After studying at the Courses of Proletarian Guides, she developed a significant number of manuals for excursions around the city, many of which she conducted herself. No sooner had she been taken on, then she drew the attention of her colleagues. After a short time, she was asked to conduct the demonstration excursion. After a brief period, she was invited to conduct the demonstration excursion. She was a hard-working person. Anna Ivanovna wrote manuals for guides, under her leadership, the Museum displays were formed (mainly in the Rose Pavilion and Pavilion Krik destroyed during the WWII). Importantly, she the vast amount of work was done at that time: she made the inventory of the exhibits which were kept in the Museum, the Rossi library. In addition to this, the architectural inventory of the Museum was made. In 1940, the group of the Academy of Arts students was assigned for the practical experience in the museum. The students had to sketch and make measurements of the details of the architectural decor. It was vital for that time. Despite the fact that all museums, palaces and private collections were nationalized in our country, they were in a very poor state, and their funds with the exhibits of the great value were embezzled by those who were in power at that time or held a higher position. These people considered the cultural legacy of our country as their private property, which could be sold abroad or given in the form of bribes, or seized for the purpose of arranging their life. It is known that Alexei Tolstoy, the famous Russian and Soviet writer, who was so distinguished by the Government, came to the Pavlovsk Museum to select some pieces of the Palace’s antique furniture for his dacha situated nearby. One could have the courage which had Anna Ivanovna to commit such an act, which was committed by her. She dared to remind the famous literature classic that she, apparently made a mistake, and what he saw there, it was not objects from a warehouse he was able to choose for himself; all those thighs belonged to the Public Institution. The talents of Anna Zelenova were appreciated very soon. She was offered a job as a member of emerging team of the newly founded Museum of the History of Leningrad, which was allocated in the premises of the Rumyantsev Mansion which was located on the English Embankment. The Museum Staff set a goal to organize the historical museum which was so necessary for our city at that time. For this great purpose, such talented people as Anna Zelenova was were of the utmost importance. But the real challenge for her was the evacuation of the works of art from the Pavlovsk Museum. She came back there in the summer of 1941, almost immediately after the beginning of the Great Patriotic War, as the person authorized for the evacuation of the items of the high cultural value and the representative of the administration of the city. Despite the fact that as early as in the year of 1936, the Special Commission, which was responsible for the evacuation of the exhibits was established due to the orders of the Administration of the Leningrad’s Palaces and Parks, and the particular plan for evacuation artworks in the event of war or emergency state had been created, the situation in the Pavlovsk Museum was not simple. The Museum administration was totally supportive of the position that conservation of the Museum exhibits, is the solution to the problem they would have to face to in the near time. All valuables that could be replaced were moved to the first floor. However nobody could realize the degree of the impending disaster, nobody could even imagine that the bomb would fall into the Palace itself. The two weeks, so necessary for collecting and packing exhibits had been lost. At that point, Anna Ivanovna made the crucial decision: to evacuate all that could be evacuated and bury carefully everything that couldn’t be taken away. In this way, the Museum’s collection of the Ancient Greek and Roman sculptures of a high value was saved.It was hidden in the vaults and bricked up in the wall. To mask the sculptures some tricky things needed to be done. The newly built part of the wall, behind which many sculptures were placed, had been splattered with the cement mortar and mud. But for the great effort of Anna Zelenova, this so valuable collection wouldn’t have survived and remained unharmed. Many statues were buried in the Park. And all this work was done by the joint effort of residents, who didn’t go to the battlefront: the seniors, women, and teenagers! But it was still not all that had to be done.There were many problems that needed to be solved: the selection, packing and transporting items designated for evacuation were the problems of the vital importance those days. At the same time, the research staff was engaged in the process of documentation about the valuable things: they were sketching fabrics, furnishings, architectural details of the Palace. These documentary sketches that helped in the reconstruction of the Museum exhibition had become the invaluable asset for the reconstruction of the Palace after the War. Anna Ivanovna went permanently round to describe in detail what she saw. Everything was in perfect order: everything was documented with the utmost precision. Considering the severe conditions in which titanic work had been doing, such as the thunder of exploding shells, constant power cuts, the museum staff the Museum staff made heroic efforts to have everything done on a tight timetable. The part of exhibits was evacuated in Gorky(Nizhny Novgorod) and Sarapul. However, the majority of the exhibits were stored in the basement if St.Isaac’s Cathedral. Anna Ivanovna left Pavlovsk September 15, 1941, when the Germans entered the city. It was a very long and arduous way, which she had to cover on foot. Then the 900 days of blockade, the anticipation of the victory and her work in St. Isaak Cathedral followed. The exhibition «To be remembered» devoted to the 60 anniversary of the Victory in the Great Patriotic War was opened in the cellars of St. Isaac Cathedral. It was aimed to tell us about the exhibits of the suburban palaces-museums which were stored in these premises at the time of WWII. The activity of Anna Ivanovna Zelenova was also reflected in this exhibition. To keep these exhibits in so terrible conditions was not as easy as it may seem. The cellars were damp, there weren’t heated, some premises were flooded. The museum employees had to use every warm and fine day to dry the exhibits. For example, between the columns of St. Isaac’s Cathedral were stretched the ropes, on which the antique carpets were drying out. Only in winter of the year 1944 did Anna Ivanovna come back to Pavlovsk. There is the photograph taken by her and named «The Palace’s tears.» This piece of melted lead from the roof of burning Palace looks as if it is the tears of herself. Nevertheless, above all, she was the person of action. At that point, it was necessary to take an immediate action. First and foremost, the state organizations, which were in charge of the city’s museums must be informed of the urgent necessity of the renovation the Palace and Park. She did that with the perseverance and conviction so characteristic of her. If we read her report of the first post-war curatorial round, it becomes clear that there is virtually no Palace, but then, in the second part of her report, she gives with relentless persistence the list of the survived details and items from the Palace, which could be restored by using these objects. The following tasks were to conduct conservation, in other words, to protect that little what had been preserved, and to that end it was necessary as quickly as possible to restore the roof of the Palace. To implement this idea, Anna Ivanovna did everything to get the best construction equipment. Such a crane was only in the Office for the Construction of Airfields. However, there was no chance to get this crane. In this case, Anna Ivanovna uses all her connections, even the casual ones, appealing to human emotions. Once, while she was going somewhere by tram, she met the soldier with whom she was familiar in the pre-war period. It was a real stroke of luck for her because this soldier had worked as a sculptor before the beginning of the war and had the significant working experience.This soldier served in the units of the State Airfield Management. He suggested how to make an appointment with S.M.Sapgir, the engineer captain of the State Management of Airfield Construction in People’s Commissariat for Internal Affairs (NKVD), who, as it turned out, was very fond of Pavlovsk. He and his wife loved to walk in the Pavlovsk Park in the pre-war period. But, despite his desire to do something to help Anna Ivanovna, he couldn’t take such a major decision, and then he decided to help this courageous woman who would get her way, by all means, even though it would come to the talks with L.Beria, the almighty head of NKVD. Considering the tenacity and perseverance of Anna Ivanovna, S.M. Sapgir suggested her to whom should refer Anna Ivanovna when being in Moscow. He did everything to help Anna Ivanovna to meet with L.B. Safraz’an, who was the deputy of Beria.Even though he was a very determined and willful man, he could value faithful and devoted to the idea people. As a very passionate person with the excellent skills of convincing people in her rightness, Anna Ivanovna had achieved the necessary backing. In addition to the Palace, which was transformed into the ruins, the Park which employed several generations of artists, architects, gardeners, was destroyed and disfigured by the fascist barbarians. The park had been mined by fascists who left a countless number of mines on its territory. Every day during the mine clearing of the Park, many field engineers, among whom were young girls, were killed. The meticulous work on the restoration of the Palace’s interiors, the creation of the museum’s exhibition and restoration of the park lands was to be done. Here is where the most valuable materials saved during the war as well as the records, layouts, and sketches made by Anna Ivanovna and her staff had proved to be useful at the moment. For example, the carefully made drawings by T.A.Bazhenova were used for the restoration of the old tissues, curtains, upholstery and the famous canopy over the bed of Empress Maria Fiodorovna. Instead of the thousands of trees, which had been mercilessly cut down by the fascist, the new saplings were planted in the places of stumps of the old ones. The species of the new trees were being selected accordingly. In addition to scientific issues, the Director of the Museum was, literally overburden not only with the housekeeping problems (e.g. how and where one can get the money, building materials to restore the Palace and Park) but also purely domestic, everyday problems. During the first post-war years, people didn’t have enough food to eat, very difficult it was to get firewood for heating the museum’s premises and living houses, there also weren’t many things which were so necessary for everyday life. In those years, Anna Ivanovna was responsible not only for herself and her elderly mother, but she took care of her employees. She was constantly going on foot to the city to bring food on the sleigh because she had a special passport for going from Pavlovsk to Leningrad. She also arranged with residents about the milk from their cows to help the sick and disabled employees as well as their children. In parallel with these everyday economic problems, it was necessary to work out the solution to other problems related to the future museum’s exhibition, methodical developments for the future tours and attracting the highly qualified staff. She had managed to unite and encourage the team of great experts by her ideas. Together with Anna Ivanovna worked outstanding masters: the architect Fedor Fedorovich Oleynik, Anatoliy Vladimirovich Treskin- a very gifted artist, who couldn’t imagine himself without brushes and paints, Natalia Ivanovna Gromova, who inspected the restoration works, Mikhail Markovich Kozlov, a very experienced specialist, who was in charge of the team of parquet layers and Viktor Yakovlevich Evseev — an expert in the upholstering and decorative works. She was helped by the like-minded people such as Nikolay Viktorovich and Zoe Andreevna Weiss, Stanislav Vladimirovich Tronchinskii. The Very complicated relationship did Anna Ivanovna have with Anatoly Mikhailovich Kuchumov, the Curator in Chief of the Museum, but nevertheless, under his guide, the exhibition plan of the Pavlovsk Palace was developed. He perfectly felt every piece of the exhibition and knew the history of each object which was exhibited. Possessing an excellent visual memory, he could determine where one or another thing is originated from, he also knew what is stored in the world’s leading museums, because he visited these museums or carefully examined their albums and catalogs. Together with Anna Ivanovna Zelenova, they were doing one great and necessary for all people job. Anna Ivanovna had managed to defend her plan for the reconstruction of the Palace in the most difficult discussion where she insisted on keeping to the appearance of the palace in the form in which it had already existed during the reign of Maria Feodorovna. Among the most determined opponents of Anna Ivanovna was Anna Petrovna Chubova, a major expert in ancient art and architecture. She insisted on restoring only the central part of the Palace, which was created by Charles Cameron. With the great difficulty, using her innate skills of persuasion and tack, having great respect to the merits of A.P.Chubova, Anna Zelenova brought to real life her plan of the restoration of the Palace, which included the renovation of the Vincenzo Brenna’s galleries. The Palace and Park had been gradually revived turning into those Palace and Park that people had known before the war. However, these great results, which had been achieved by the enormous efforts, could have been nullified due to the different circumstances. Someone of the high-ranked people had found «more useful» application for the empty building and vast land around it. Such ideas, as the concept of the accommodation in the Palace’s rooms Zootechnics College, Tuberculosis Hospital for children or Naval College, were put forward that time. Having the ardent desire to gain moral support, Anna Ivanovna wrote to Igor Emmanuilovich Grabar, the nationwide known academician. There was the grave danger for the Museum. There are many sad episodes in the history: many museums were virtually destroyed in our country in such a way after WWII. The high number of the museum’s items were distributed to other museums, and their buildings, which were used for other purposes were coming to terrible dilapidation. The results of this, so called, wise use of the museum areas, we still can see, for example, in the Gatchina Palace and the Alexander Palace in Tsarskoye Selo. Nevertheless, the miracle, which had been so passionately desired and expected for such a long time, had happened, and the first ten rooms of the Palace were inaugurated in 1956. The danger was over. By the year of 1970, the Palace was restored completely. To see this human-made miracle people came from everywhere forming the very long queues to get the tickets to the museum. Not only the Palace and the Park were restored, but the spirit of the Pavlovsk itself had been brought to real life. Everything there was permeated with art. The Palace served its purpose as the venue for many exciting events such as the concerts of the famous all over the country artists. Igor Ilyinsky, Lyubov Orlova, Yury Visbor liked to give their performances in this wonderful place. Elena Obraztsova the world famous opera star started her artistic career giving her first concerts there when she was a conservatory student. Ironically, at that time, which was considered to be stable and trouble-free, when the most fundamental painful problems had been successfully resolved, and the Palace had become one of the most famous tourist brands, as it became apparent, such people as Anna Ivanovna was had not been needed. The new time, which was also known as the era of stagnation, created the need for new people: not active and dedicated, but vain people, who feel comfortable in the museum’s environment of those days, not willing to go beyond the instructions and orders of the administration. What’s more, to succeed in their careers, these people needed to be close to the Communist Party’s circles. In 1978, Anna Ivanovna had to resign from the position of the Director of the Museum. She had been transferred to the Department of the Culture and Education in the Gatchina Palace. She died in 1980 shortly after that. She died on her battle station while speaking at the meeting of the local branch of the Communist Party which took place at the Pavlovsk Palace. Given her personal life, which, in fact, she didn’t have, she accomplished a feat. 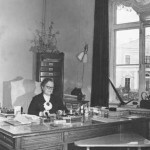 So dedicated she was to her scientific work at the museum that she couldn’t imagine her life without her lifelong dedication: she saved and preserved the Pavlovsk Palace and Park for the future generations. Her work and everyday life were tightly interwound. As a result of the restoration of the Palace-and-Park ensemble, new methods of conservation and restoration of the cultural object during the war were discovered, developed and then widely used. Years later, when the scientific community decided to give her a doctorate on the grounds of the great results of her work, but without defending the dissertation, she rejected this offer, motivating her statement by the idea that as a real citizen and patriot, she had never earned wealth for herself by taking the advantage from the disasters of her compatriots. Her human feat means the love for her motherland and her people. It was expressed in what had been done. She was able to defend, revive and restore the essential — the cultural treasures of her country. She struggled for the Pavlovsk Museum before the war, when it was widely believed that such an unbalanced and talentless ruler, who was, in the opinion of the art historians, Paul I, didn’t need to be commemorated. What’s more, everything that was created under his order as well as by the will of the other crowned customers, appeared not thanks to their efforts, but in spite of them. The idea that it was for talented masters from people who were able to withstand the oppression and tyranny, which predominated in our country at that time, was widely supported by the Soviet art critics and experts. In their opinion, these artists from people demonstrated their bright talents, creating buildings, sculptures and other great pieces of art, amazing their descendants. Under the leadership of this fragile woman, who had a real iron will, the Palace and Park had risen from ruins and ashes. And now, returned to the people, these world treasures continue to live the life that was given to them by their creators, life which seems to be breathed into these masterpieces to revive them for posterity. A genuine spirit of the era, which was brought to real life, was the result of the efforts of her and the Museum staff. It is not the modern beautified replica of the old architectural ensemble, but the monument to the whole historical period. Looking at the Palace and Park, I can’t help but come to the idea that if Emperor Paul I and his wife Maria Feodorovna left such a memory after themselves, they deserve to be made a low bow. Anna Ivanovna has never been forgotten by the Museum staff, but only now for some reason, her personality, her life, and work have caused the new wave of public attention. Such phenomena as Perestroika, economic reforms in our country and establishment of the new social consciousness have, undoubtedly, contributed to this. To a great extent, the activity of the Director of the Museum since the 1990s, considering the degree of responsibility in decision-making is something akin to the director’s activities during the war. How to restore the Museum objects, many of which are in a very poor state, where to find the sponsors or the patron of the arts, and finally, how our cultural heritage should be advertised in our time when the vast majority of people is interested only in the material things? To be able to solve these problems you need to be a truly dedicated and outgoing person, like it was Anna Ivanovna Zelenova. Unfortunately, we accept as a truth that, as a general rule, talented and dedicated people in our country remain not understood by their contemporaries. The great things are seen from a distance. Now, after already almost thirty years from the time when Anna Ivanovna passed away, many things have been done to perpetuate her memory. In the year of 2005, her Memorial Office was opened in the Palace, one of the Pavlovsk’s streets was named after her, the contest on the best design of her monument took place. After all, she was named as a person of the 20th century. It goes without saying that everything that was done for people by her deserves to be mentioned as often as possible. Every kind word should be said in the memory of this bright person, who brought back to our life these wonders, which are around us and which we never want to lose. The interview with Nikolai Tretiakov, the Director of the Pavlovsk State Museum Reserve.